In true My Burning Kitchen fashion, I went ahead and mucked up another recipe. Granted, it was a first attempt at an extremely difficult cake. It’s the same cake that my mom used to bake for my dad when he would return home from a being overseas for months at a time. My brother and I always knew our dad was coming home soon when we saw her buying sliced almonds for Sans Rival. Sans Rival (make sure to roll those r’s) translates to “without rival.” Upon doing research, it’s a cake that is believed to have originated in the Pampanga region of the Philippines where my mom was raised. 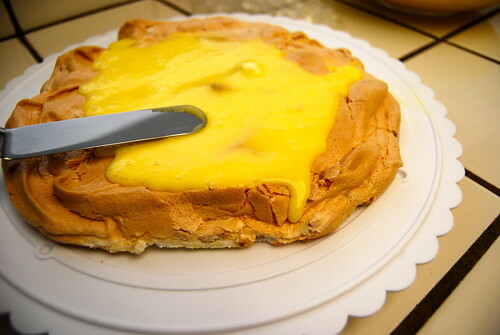 It’s an incredibly rich dessert with the cake layers made of nutty merinque and held together with a sickly sweet icing of egg yolks, sugar and a pound of butter. Yes, a pound. Sans Rival is sold at Goldilocks and I’m sure other Filipino bakeries. But every Filipino baker wannabe should attempt to make it at least once. The cake starts off with whipping a dozen egg whites with a teaspoon of cream of tarter and slowly adding sugar until firm peaks form. Slowly fold in the nuts into the egg white. In my version, I used two cups of chopped cashews. 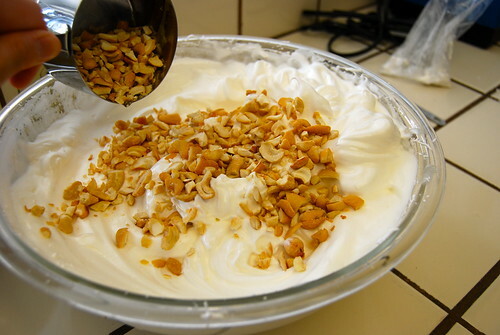 Almonds and other nuts can be substituted. After reading that people had a bit of trouble removing the baked meringue from the pans, I decided to stencil four circles onto parchment paper and use them to form the cakes. 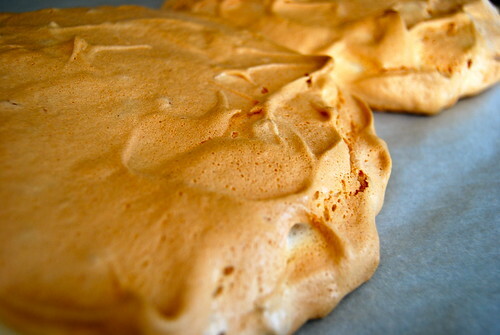 The meringues baked for 30 minutes until golden brown. While the meringue cools, whip up the leftover egg yolks in a large bowl. In another bowl, whip up the butter. 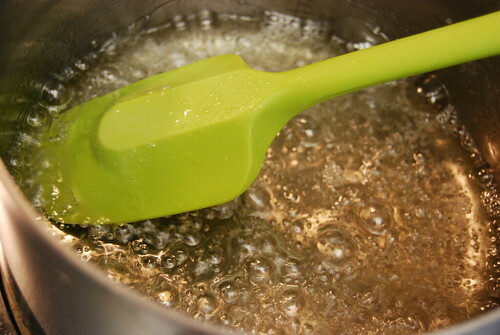 Sugar and water is combined and heated in a sauce pan until boiling. The sugar water is ready when a drop of syrup is dropped into a bowl of cold water and pliable strands are formed. Remove sugar water from heat and slowly combined into the whipped egg yolks. Now here’s where it goes downhill. Instead of placing the still-warm sweetened egg mixture in the refrigerator to cool, I combined it with the whipped butter to form a icing that does not firm up regardless of how long it’s in the freezer. Despite all attempts to save it and without restarting from scratch, I poured the icing onto the layers of meringue and swiftly moved the cake into the freezer, hoping to stop the dripping. While the cake is nothing to look at, it’s perfectly delicious. I didn’t even add buttercream to the sides to cover up the layers. Recipe follows with corrections in how not to get the same results as above. In large bowl, beat egg whites until foamy. 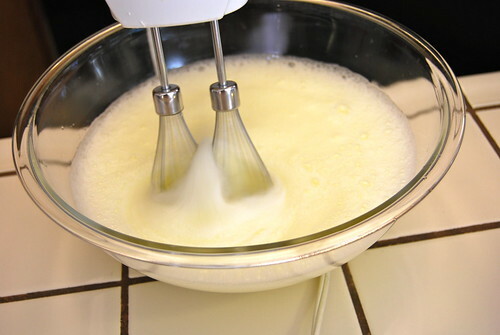 Add cream of tartar and gradually add sugar, continuing to beat egg whites until stiff peaks form. Fold in nuts. 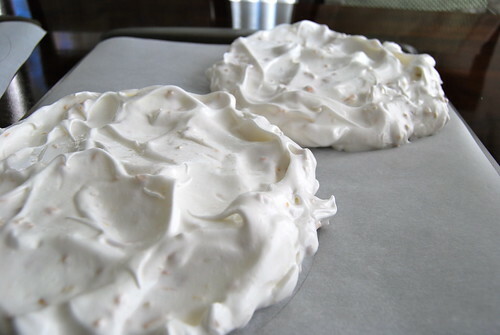 Divide meringue between 4 pans and spread evenly to edges. 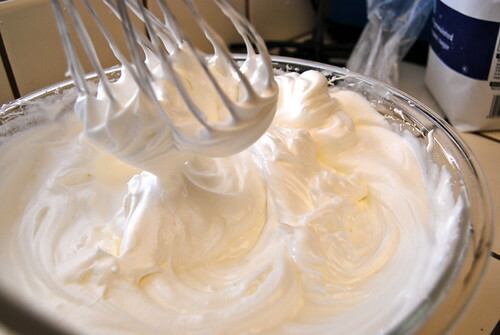 In bowl, whip butter until light and fluffy. 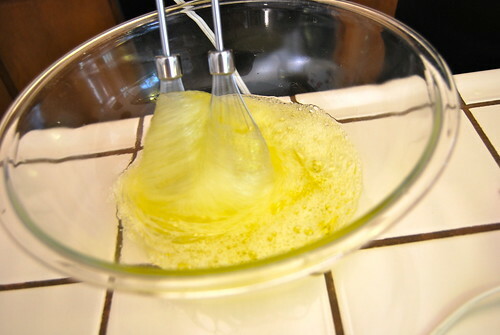 In separate large bowl, whip eggs yolks until thick and lemon colored. In saucepan, combine sugar and water over high heat bringing to a boil heating syrup to 270 degrees F.
Slowly beat the hot syrup into the egg yolks. Refrigerate mixture until cool. When mixture has cooled, combined sweetened egg yolks with whipped butter until smooth. 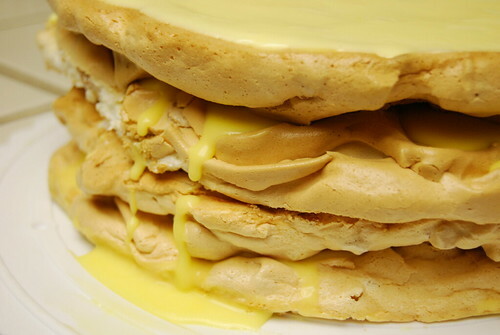 Spread one layer of meringue with the buttercream, top with a meringue and repeat until all layers are covered. Smooth sides of cake with remaining buttercream. Sprinkle top with chopped cashews and freeze until solid. Looks delicious to me! Even more interesting to me is that green spatula – where did it come from! I love that it’s all one piece so the spatula part won’t fall off in the middle of a stiff batter or get gunk up in the stick-hole. It’s my FAVORITE spatula! 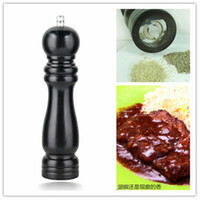 I got it a few years ago from Crate & Barrel as part of a three pack with a smaller spatula and a silicon basting brush. And the cake was delicious although very, very rich. i guess this cake is not for people on a diet either! one dozen egg yolks, sugar, butter, nuts. mmmm! one of my former students had his mom make it for me before. i found out that it was her specialty and hinted that i wanted one for the end of the year club party (I was Filipino club advisor at the time)! that’s also how i happened to have homemade ‘bicol express’ (not a dessert) and homemade polvoron as “gifts” from other students…ha ha. what a scav i am. LOL! I would gladly make you sans rival once I get the hang of it! Still, I want to try it. 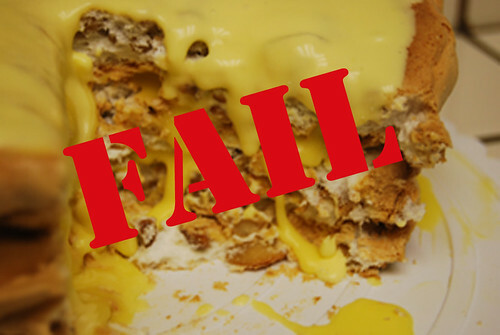 Love these FAIL recipes, they still sound delish!! If it’s edible then it’s not a fail! Very cool cake. Gonna have to try this at home. I can see how it would be challenging – layered meringues – giddyup. It is amazing — salty, sweet and rich. It still looks beautiful and delicious to me.